Hello everybody! I haven't made a post for a while now and I want to share with you what I've been up to lately since starting my third year of University. Other than trying to get started on my dissertation (and failing miserably) I visited London for galleries with my friend Heba who's also on my course. I went on a Monday and you would have thought I'd have remembered galleries are shut on Mondays after being an art student for nearly 8 years!! But no, we went anyway - it was a complete face palm moment. 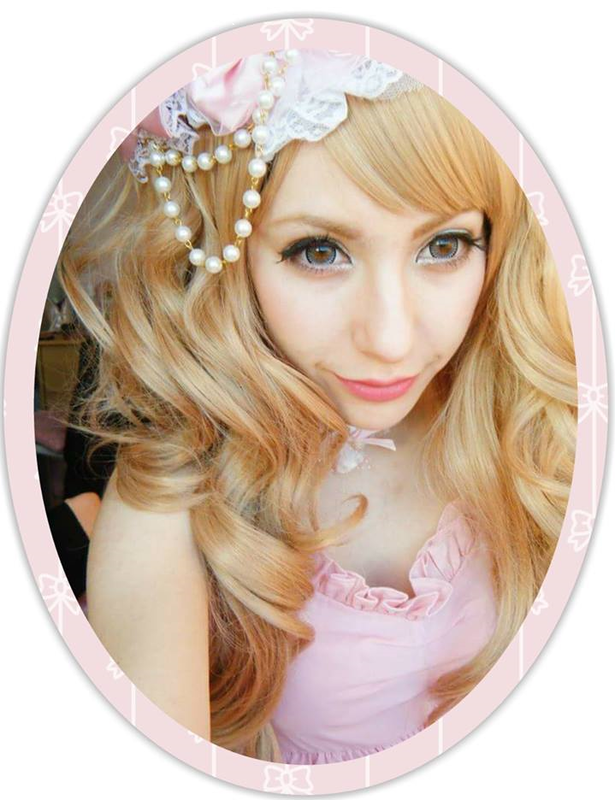 I don't know what it is about visiting London but it always makes me want to dress up so I did Hime Gyaru...again. Since we went on Monday we had to go to Yo! Sushi for blue mondays where many dishes are reduced to £2.45 each...or something in that price range. I had more than just this chicken ISO but I was too hungry to photograph everything else and I just want to eat! We took a stroll through Hyde Park because Serpentine gallery is located there - but obviously it was shut and my feet were killing me so much. Anyway this part looked really picturesque and lovely ^^ so I got some shots of my outfit. I can't wait to wear it out seriously ;o;. The image on the left is what I was wearing that day underneath my coat :)). We got back to Hatfield around 8 and we're planning to go again to actually visit galleries next time!